Clothing manufacture company in Smeaton Grange NSW. 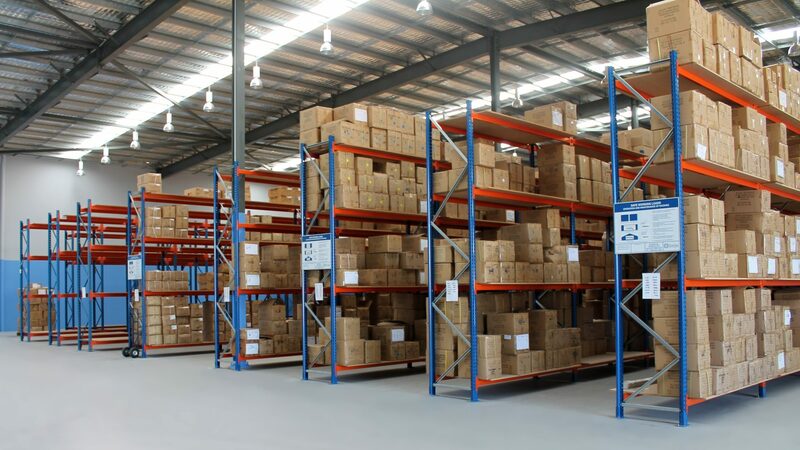 Storeplan relocated racking from existing site in Kingsgrove NSW to new site in Smeaton Grange and supplied an additional 55 bays of I600 Pallet Racking at 4250H x 2600W with 4 beam levels per bay. 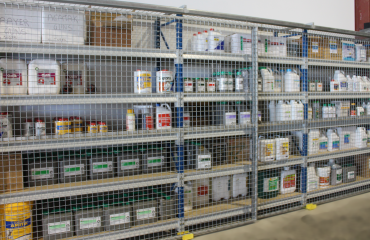 Each level was fitted with an MDF timber shelf 2420 x 1200mm so our client was able to safely and effectively store their cartons of product back-to-back. 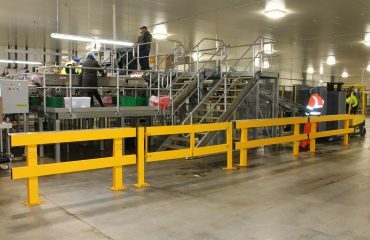 Storeplan had to design this racking system around the configuration of warehouse columns so as to minimise wasted space – we did this by locating the columns within the racking bays which also prevents forklifts hitting the columns. Allowed for a drive-thru section and clear access to fire extinguishers. Unfortunately the Storeplan team did make a mistake on this project…we quoted to supply blue uprights and when the gear turned up on site the uprights were all galvanised. 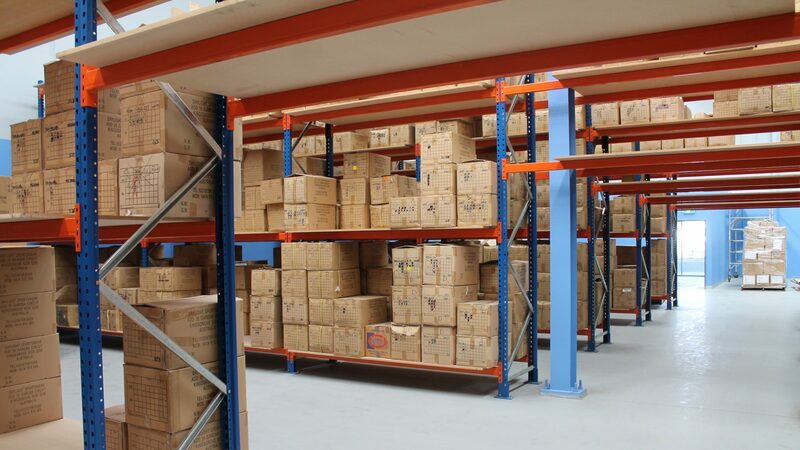 Our client wasn’t happy and rightly so!…we knew this wasn’t acceptable so the day we received the call we literally dropped what we were doing and within 1 week we had another whole shipment of racking on site in the correct Blue colour. We then set about and completed the install as quickly as possible. 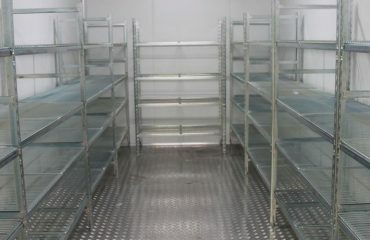 We organised to get the incorrect goods sent back to our warehouse in Tamworth. 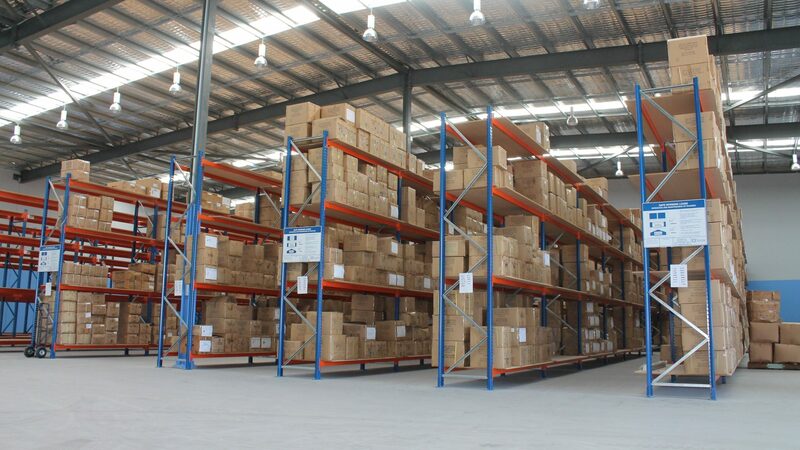 Result was a very satisfied customer and a great looking warehouse!